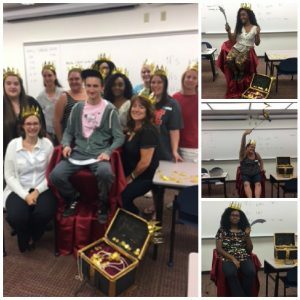 Eleven students from the Cuyahoga Community College, Parma, Ohio, committed to participate in a challenge dubbed “Slay a speed in seven hours,” designed to focus them on serious practice time while treating it like the work it is. During the event, which ran from 7 a.m. until 2:30 p.m., each student was given an individualized practice plan and goal by their instructor. After each hour, progress was evaluated and any adjustments were made accordingly, explained Kelly Moranz, CRI, Tri-C program manager and adjunct faculty. According to Tri-C Associate Professor Jen Krueger, RMR, CRI, CPE, the idea of the challenge grew from discussions with students about ways to approach practice time seriously. “The challenge seemed a good way to demonstrate that practice takes a lot of work, by offering students a seven-hour workday. Lots of practice occurs, but in evaluating practice times and habits from homework, it was realized that a focused, longer day of skill development was needed,” Krueger said. According to Moranz, Tri-C offers its court reporting and captioning students similar challenges from time to time, such as seeing who can practice the most hours, who can write the most strokes, and who can practice the most days in a row without missing a single day. “Students who passed a test received a specially created certificate with a graphic of a sword going through the steno machine. Our focus was to motivate them for the sake of learning and recognize their efforts toward success, with a tangible prize secondary to the personal reward of gaining speed and accuracy,” Moranz said. “Challenges provide the opportunity for students to focus on the positive aspects of their work, recognize their successes as well as their challenges, build camaraderie, and strengthen their commitment to complete the program and reach their goals,” said Krueger. Steno machines are no different than anything else in life. At some point, they need to be replaced. But what’s a reporter or captioner to do with their old machines? For some, the answer is to donate them to a court reporting program. “A donated machine is very much appreciated by a student,” says Mary Beth Johnson, CRI, a professor of court reporting at the Community College of Allegheny County. “Our school is located in Pittsburgh, Pennsylvania. We live in an area where court reporters are very generous. Our students have been the beneficiaries of donated steno paper, machines, and thousands of dollars in scholarship monies. As a teacher, I am always appreciative of the largesse of court reporters,” she adds. State court reporting associations also recognize the importance of donating old steno machines and other items to benefit students. 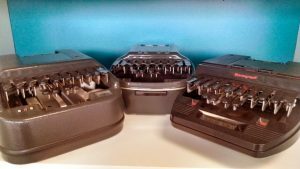 Recently, both the California Court Reporters Association and the Wisconsin Court Reporters Association (WCRA) issued calls to their members to donate old machines to schools and to volunteers who are leading the A to Z Program, a free introductory course of basic steno for those who might be interested in pursuing a court reporting or captioning career. “In Wisconsin, I know of several reporters who donated their steno machines to the court reporting schools and also to the A to Z Program,” says Sheri Piontek, RMR, CRR, CRC, an official from Green Bay and president of WCRA. “The A to Z Program is what prompted Wisconsin to request donations of machines as a means of trying to increase the number of students in the court reporting profession. The only way this program is successful is by asking the reporters to donate their older models to the students,” she adds. To date, WCRA members have hosted two A to Z Programs within the state and have a third planned for the fall, Piontek notes. Donating old machines to court reporting schools can also help offset tuition expenses for students. In some cases, donating a machine can be used as a tax deduction. “When I decide to recycle or toss my steno machine, I give it to a court reporting student,” says Laura Lynn Murphy, RMR, a freelance court reporter from St. Louis, Mo. “Many of them are renting a machine. I like to think that if they don’t have the rent to pay, they will be more inclined to join Missouri Court Reporting Association or, perhaps, NCRA as a student because they have to pay dues to join,” says Murphy. “If there isn’t a need from a student, I donate the steno machine to Ranken Technical College. The students there are learning how machines work and when they tear down, hopefully, learn the machinations. I also give them old Dictaphones or digital equipment, anything that would help their training and not go into landfills,” she adds. Murphy also suggests offering an old machine to companies that sells new ones in exchange for credit toward a new purchase. Many times, she notes, companies will use the old machines for repair parts. Donating an old machine to a student is invaluable, according to Kelly Moranz, CRI, program manager and adjunct faculty at Cuyahoga Community College’s captioning and court reporting program in Cuyahoga, Ohio. “These machines are distributed to students in need, and it can sometimes mean a difference as to whether they can begin the program or not,” Moranz says. “Professionals typically reach out to us if they have a machine to donate. Through the grants we have received in the past, we have machines for campus students that cycle through the program. We are able to supply online students with the same opportunity with the machines donated by professionals. Additionally, for students mentioning they have spoken to a professional, I encourage them to reach out and see if they have an extra machine available,” she adds. Johnson notes that she and her staff are not at all shy about asking for donations of old machines and other items, especially since working professionals have been consistently very generous with the program. “Donations are critical to the success of our program. Please know how grateful we are for decades of donations, not limited to machines, but also including guest speakers, mentors, and scholarship donors. In Pittsburgh, professional reporters donate their time, talent, and treasure consistently,” she says. WASW-TV7 reported on Feb. 16 that the Neosho County College’s court reporting program in Ottawa, Kan., will hosted a write-a-thon fundraiser for students in conjunction with a bake sale in honor of Court Reporting & Captioning Week. The effort is to help raise funds to assist students of the program with tuition. While the standard dictionary definition of plateau is “to have something remain at a stable level or on an even keel,” the word plateau has a completely different meaning to court reporting students. Simply uttering the words speed plateau can cause extreme frustration and anxiety. Don’t let that happen to you! One of the main obstacles all reporters will face at one time or another in their court reporting career is a lack of speed. No matter how well prepared you are, there will come a day when you meet a witness or an attorney who seems bound and determined to be forever enshrined in The Guinness Book of World Records for being the world’s fastest talker. Most court reporting students will find that the other obstacle that goes hand in hand with a lack of speed, of course, is a lack of accuracy. If your fingers are struggling to capture every word, naturally your accuracy will go down. It is important to remember at times like this that struggling with speed and accuracy is not the end of the world, and it certainly should not stop you from fulfilling your dream of becoming a court reporter. 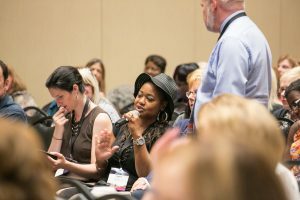 There is no secret potion or magical transformation that a reporter can instantaneously undergo that will allow him or her to write as fast and as accurately as NCRA’s speed champions. 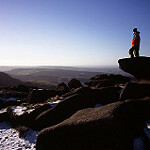 The good news, however, is that there are certain general tips you can follow to overcome and conquer those plateaus. With a little perseverance and hard work, you can and will be able to meet those challenges. Tip No. 1: Concentrate. Concentration is perhaps one of the most important aspects of our job, and if you are suffering from poor concentration, your writing will show it. Before you begin practicing, take a few deep breaths to clear your mind of other thoughts and relax. Do a couple of one-minute takes in the beginning until you get warmed up, and then increase those gradually until you are able to accomplish the complete five-minute take without distractions. If you start to feel frustrated at a certain speed, pause for a moment, clear your mind, reaffirm to yourself that you can write at this speed, and begin again. Tip No. 2: Use one-minute takes to increase your speed and accuracy. Select a one-minute segment at a speed that you can comfortably write at without many errors. Once you have finished writing that segment, read it back to yourself to see what errors you have made. Before you begin again, practice writing those words that caused you to hesitate or stumble. Then rewrite and reread the same segment at the same speed until you are able to write it flawlessly. Once you have accomplished writing that segment without error, increase the speed slightly and begin again. This exercise will help you learn to hear and process the words at a faster rate, and train your fingers to move at a faster speed. Your fingers can only write as fast as your ears can hear and as fast as your brain can process the information. Tip No. 3: Perform finger exercises every day. Take the time to write the alphabet and your numbers a couple of times. You can easily do this while you are waiting for class to start or before you begin your practice takes. As you write the letter, say the letters A, B, C, and so on in your head. Finger exercises will help enforce in your mind the placement of the keys and help eliminate hesitation. It will also help develop good finger dexterity and control. Tip No. 4: Know your theory. If you find that your fingers are struggling with adding the D or S or you are faltering on words that start with S-M, go back through your theory books and rewrite those exercises to help reinforce your steno theory in your mind. Tip No. 5: Read back your notes. Visualizing the steno on the paper or on your computer will help reinforce the correct letters and finger positions in your brain and help you recognize your errors before they become a habit. Circle your mistakes or write them on a piece of paper, and then rewrite them on your steno machine a number of times correctly so your fingers learn the correct placement. This will subsequently help you stroke those words without hesitation the next time you hear them. Tip No. 6: Check your body and keyboard position. Be sure you are sitting comfortably and with both feet flat on the floor. Place your keyboard in a position where your forearms are about parallel with the floor and your fingers are naturally resting in the home position. If you find that you are experiencing pain in the muscles of your arms, shoulders, or back, it is likely your keyboard is positioned incorrectly, and you need to adjust the height of your machine, your chair, or both. Also, be sure your fingertips are not resting on the keys but are slightly above them. This will help you avoid adding unwanted extra letters. Tip No. 7: Memorize and practice your briefs. There are mixed feelings about a reporter relying on too many briefs, but incorporating more briefs into my writing is the most important thing I have ever done as a court reporter to increase my speed and accuracy. I used to write the majority of everything out, but as I aged and it felt like more and more attorneys were talking faster and faster, I decided to incorporate two to three briefs on every job. For example, before the beginning of my deposition, I would look at the caption and create briefs for the names of the parties or other technical words that I thought might come up. If the plaintiff’s name was Tom Roberts, I would write that as T*R. Or, if the defendant’s name was Triumph Electronics Corporation, I would write that as T*E (Triumph Electronics) or T*EC for the full name. Before long, as you write, you will find yourself thinking of briefs for words that are difficult or come up frequently. A strong word of caution, however: Before merging any brief into your job dictionary or main dictionary, please ensure that it does not cause any conflicts! One way to avoid conflicts is to incorporate the asterisk into your briefs whenever possible. Now that you have created all these clever briefs, the next task is to remember and use them. Write them down on a piece of paper where you can easily see them during practice or on the job. You can also do this for other words or phrases that frequently come up on a practice tape or that you find yourself struggling with. One other way I have incorporated more briefs into my writing is to listen to practice tapes and to find commonly used phrases or words. I come up with a brief, write it down on a piece of paper, and then listen and rewrite that segment of the tape two to three times to help reinforce that brief in my mind. After I feel comfortable writing those briefs, I then write the entire five-minute take and strive for accuracy. Another strong word of caution: Writing briefs should be automatic. It is one thing to know you have a brief for a particular phrase, but it is a totally different thing to be able to write it without hesitation. Every day, memorize and practice briefs for common phrases and words until you no longer hesitate when you write them. It’s easier to remember briefs if they follow a similar pattern. For example, the phrases I don’t know, I don’t recall, I don’t remember, etc., should all have the same beginning, with only a slightly different ending. So if you are in a creative mood and want to shorten your writing, be sure to have a consistent pattern to your briefs whenever possible. Tip No. 8: Have a positive attitude. If you practice regularly but you don’t feel like you are making any progress, don’t get discouraged. Whether you believe it or not, you are making progress — perhaps just a little more slowly than you would like. Above all else, don’t dwell on your mistakes or hesitations for days on end; that will bring you down mentally, and then you will fail. You can always come back a week or two down the road to work on any particular challenging issue. Tip No. 9: Analyze your writing. Keep a list of hesitation words, and practice them daily. Whenever you hesitate over a word that comes up in the dictation, jot it down on a piece of paper and practice it a few times for the next few days. Once you find that you are stroking that particular word without hesitation, then move on to the next word. Repeat that exercise a few times, and your mind will automatically know how to write it. Keep those lists and review them every few months to make sure you haven’t forgotten how to stroke them effortlessly. Tip No. 10: Make accuracy your first and most important goal. Establish a daily or weekly goal, such as “I will write 150 words per minute for five minutes with 10 or fewer errors.” By practicing your dictation in realtime, you will be able to monitor your error rate on each take. While on a deposition, I routinely challenge myself to see how low I can get my untranslate rate. Once you have your accuracy down, speed will naturally come to you. The above is not an all-encompassing list, but incorporating most of these tips into your practices will give you a good start on improving your writing style and boosting your speed and accuracy. If you are having difficulty fitting in much practice time, just remember that it’s the quality, not the length, of your practice that really counts, so make it as productive as possible! The last tip I will leave you with to help you overcome those speed plateaus is to simply relax and take it one step at a time so you do not feel too overwhelmed. Focus on the positive little steps that you make rather than worrying about the next speed test that might be coming up. People who focus on the positive will be able to challenge themselves to do their best and succeed at each stage of their career. Jackie Young, RPR, is a freelancer in Delano, Minn. She can be reached at rite2jackie@yahoo.com. Why should I belong to my state and national associations? When I was a new reporter, or even when I was a student for that matter, I knew very little about my profession. I had many questions I wanted to ask but was too scared to show my ignorance, trying to convince myself of the old saying, “no question is a stupid question.” I wanted to learn as much as I could, and doing an internship at the Peoria County Courthouse wasn’t quite allowing me to appreciate what the freelance world would be like or even if being an official in Peoria was similar to any courthouse job nationwide. I struggled to figure out: Do I want to be a freelance reporter or an official reporter? Fortunately, I had an amazing instructor who was a past court reporter. This instructor was adamant about us joining the national association as student members and encouraged us to join our state association as well, especially when we could take advantage of the student price. We were pretty much expected to join the national association because she wanted us to receive the JCR magazine, and we eventually ended up with homework assignments using it. Through this experience, I was truly educated, via the magazine, about the vast array of reporting fields that existed across the world. The job listings and equipment offered for sale were unbelievable. I was getting all the answers I needed to the questions I was afraid to ask. I would get so pumped up, gathering ideas on how to build speed and perfect my writing. I soon found myself getting over the hurdle of 160 wpm and flying through 180 and 225. I wanted to get out into that working world as fast as I could. Excited by the knowledge I was gaining through the JCR, I was curious what my state organization would be like. I just had to go see for myself. I quickly joined the Illinois Shorthand Reporters Association (now the Illinois Court Reporters Association) and was truly amazed at the newsletter they provided. This newsletter also promoted various job openings in the state as well as tidbits on steno briefs. I was convinced there would be a job for me out there somewhere. I attended one of my state conventions after learning about it through their Ad Infinitum newsletter. Wow! After being around all those working reporters, yes, this is what I wanted to do. I very shortly thereafter learned through the newsletter that there was a board position open as the southern regional representative that they were desperately trying to fill. Why not give it a try! I ended up getting the position, and, well, the rest is history. I’ve been serving on a board, committee, or council of my state and national organizations ever since with no lapse in service since around 1985. The networking opportunities association service has provided me have been priceless, to say the least. It’s fun to attend state and national association seminars and conventions, and be recognized by your fellow peers. 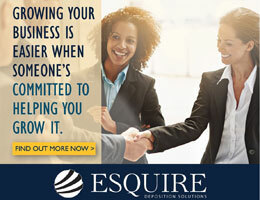 Beyond networking, I’ve taken advantage of many other benefits my memberships provide. My memberships have helped me insure my equipment; get discounts for court reporting–related products and services, like software or office supplies; access directories to find names of reporters wherever I need one; and see promotions of upcoming CEU-approved seminars. Supporting the legislative efforts that protect my profession and understanding the issues we face as working reporters is also a definite asset to my membership. Of course, as the years have gone by, the value-added services have become tenfold with the advances in technology. Those directories have gone online, so I can easily find a court reporter, videographer, instructor, or software vendor. NCRA, and many state associations, have discussion groups on social media where I can ask questions and get new ideas. 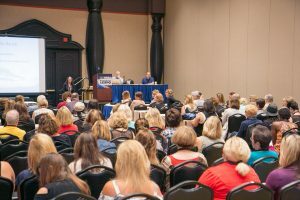 The NCRA website also has information on state association–sponsored seminars and events in and around your area as well as a library of e-seminars. I can honestly say my state and national association memberships have brought me to where I am today. 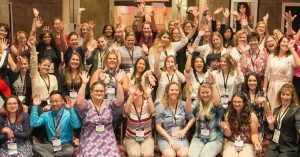 I’ve served on the Illinois Court Reporters Association Board, even as president for two terms, the Missouri Court Reporters Association Board, endless committees with NCRA, and I have even been involved with the CLVS Council. I’ve been approached to apply for jobs. I didn’t intend to become a federal official reporter, but I am one now, thanks to other reporters who threw my hat in for the position. Many reporters have become familiar with me through my state and national membership affiliations. The real question is: Can I live without state and national association memberships? Debbie Kriegshauser, RMR, CRR, CLVS, is an official in St. Louis, Mo. She can be reached at deborah0841@att.net. Court reporting students are much like the professionals in the business they are destined to enter: determined, hardworking, dedicated, and devoted. As with any profession, it can often be a long hard ride to the big time. 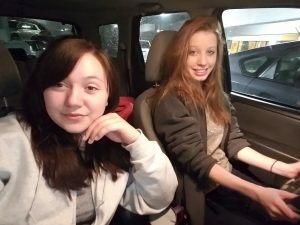 But in the case of Kaitlyn Spurgeon and Rachel Otto, students at MacCormac College of Court Reporting in Chicago, Ill., the ride each day maybe long, but the support they have for each other in conquering school isn’t very hard to come by. Spurgeon, a resident of Antioch, Ill., and Otto, a resident of Genoa City, Wis., live about 15 miles apart, and each school day they spend up to two hours a day together commuting each way to MacCormac. Up-to-Speed reached out to them to find out what keeps them motivated and on course in regards to their studies, and why they make the long trek they do several days a week. Do you find you motivate each other during your commute? KS — We definitely do motivate each other during the commute. After a long day of work, we do get tired and the drive is difficult, but we try to keep a conversation going to keep us awake and if all else fails, I have my iPod with more than a thousand songs to keep us entertained. We also have a game to try to find license plates from all 50 states. RO — Kaitlyn and I definitely motivate each other throughout the commute. We will talk about our class and the difficulties we are having, and we also distract each other by playing games. Some people might think that choosing an online program would be better than committing to a four-hour daily commute to attend brick-and-mortar classes. What would you say to that thinking? KS — Well, I’ve come to understand that court reporting isn’t an easy skill to learn right away, and I was told by current court reporters that having an actual in-person class would be better for this skill than trying to learn it on my own through an online class. RO — I like the idea of an online class just because I live on a farm and I am very busy here, but I also really love the school, and I learn best by being there physically and actually being able to see the teacher and ask questions. I think it is a better option for me at the moment. What time do you leave for school each day and what time do you start your trip home? KS — We leave for school after work at around 3 p.m. and arrive at school between 5 and 5:30 p.m. We leave school around 8 p.m. and get home between 9:30 and 10:30 p.m., as the traffic home can get pretty bad. What is the most frustrating factor, besides the length, of your commute? KS — I think one big downside of the commute isn’t the frustrating part; it’s the downright scary parts. You hear a lot about really bad car accidents, drunk drivers, and now there’s even people shooting each other on the highway. We go pretty fast on the highway along with everyone else, and we’ve both seen how careless a lot of people are when they drive. How do you make up practice time given that you are on the road so long each day? KS — I squeeze practice time between my two jobs and school whenever I can. There’s not much room for relaxation time in my world right now, but I’m totally okay with that. I love keeping busy, so whenever I have a chance to sit down, I have a steno machine in front of me. RO — Practice time is at night. I stay up pretty late, until around 1 a.m., just to get practice in and then go to work at 6 a.m. Practice is very important, and we need time for it. Sleep is for later. Do your classmates support your dedication to your program? KS — To be totally honest, almost all of our other classmates have already given up on court reporting and stopped showing up. So Rachael is my only classmate. But yes, she is very supportive, and so is my teacher. RO — My classroom is just three people including Kaitlyn. They support it and think it is crazy that we drive all the way over there for school. How far along are you in your court reporting education? KS — We are just about to wrap up our first semester, and I personally love it. Time really does fly when you’re having fun, and shorthand has been such a blast to learn and use so far. RO — I am in the first class: Machine Shorthand Theory 1. I am just starting school for court reporting. What area of the profession do you hope to enter upon graduation: official, freelancer, or CART or broadcast captioner? KS — Honestly, I’m hoping to dabble in anything I can. I definitely want to be in a courtroom and a lawyer’s office for a while, but I would also love to be a captioner. I think I’ll switch it up every few years. RO — I am thinking of becoming an official. What attracted you to a career in court reporting? KS — Rachael’s aunt has been a court reporter for more than 20 years, and she let us come to her office to see what she does. She pulled out the machine and started typing everything Rachael was saying, and as I watched, I fell in love. It was one of the coolest things I’ve ever seen, and right then and there I knew I wanted to learn that skill. Just like some people see someone play and guitar and think, “I want to be like that;” that was me. RO — My two aunts have been court reporters for more than 28 years, and they absolutely love it. My one aunt kept pushing me to try it out and see if I like it or not. She helped me find a school and went with me to get check out MacCormac. What would you say to encourage others thinking about entering the field? KS — It definitely takes a lot of dedication and time, but once you start getting the hang of it, it’s all you think about. Or maybe I’m just crazy. Court reporting is definitely worth it. RO — I definitely encourage others to practice, practice, practice! Ask any questions you have if you don’t understand anything. Always go to class; missing one thing for learning the keyboard or anything is very bad and will possible set you back. Do you know a student or students who should be in the spotlight? Let us know. 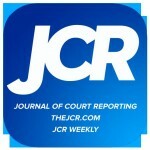 Students in the spotlight must currently attend an NCRA-approved court reporting program. How are you celebrating Court Reporting & Captioning Week? NCRA has declared Feb. 11-18, 2017, National Court Reporting & Captioning Week, an event designed to encourage members and students of the court reporting and captioning professions to celebrate their careers by hosting special events within the community and more. 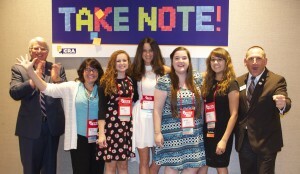 Up-to-Speed reached out to members of the Association’s Board of Directors and to students to find out how they plan to mark this year’s event. Why is it important for students to participate in Court Reporting & Captioning Week? Court Reporting & Captioning Week is the perfect opportunity for students to share insight with friends, family, and members of the community into what their careers will involve and why they chose this field. It is also a chance to spotlight their unique skills and talents that will allow them to capture the official record of a proceeding or provide important realtime captioning to members of the deaf and hard-of-hearing community. By helping to spread awareness about what we do, who we help, and why our work is so important, we celebrate the court reporting and caption professions and our fellow colleagues, whether they are students working toward their goals or seasoned professionals with years of experience. Students who participate in Court Reporting & Captioning Week will be invigorated by the camaraderie of court reporters and CART and broadcast captioners who take part in a week of fun celebrating, advocating, and supporting our profession. Your determination and drive will be enhanced after you experience what awaits you upon completion of your court reporting program. Participate! Then go out there and confidently nail your next timing as you envision being a part of a fantastic profession. NCRA President-Elect Christine J. Willette, RDR, CRR, CRC, Wausau, Wis.
NCRA Director Christine Phipps, RPR, West Palm Beach, Fla.
Students are encouraged to participate because, as our future reporters in the workplace, they will be the new breed of reporter and will be able to better showcase the newer technologies in our profession. They will be able to see firsthand how appreciated we are each day while we take down the all-important written record of legal proceedings. NCRA Director Rick Levy, RPR, Miami, Fla.
How are you celebrating Court Reporting and Captioning week? I’m always thinking of the big picture: how many students or prospective students can we reach, and how can we get many schools and/or colleges to share about court reporting? But I also think each of us can do our part in our section of the world. This year I will celebrate by making it my goal to speak to at least one new person per day about reporting — whether it be a stranger at the grocery store, an attorney, or a high school student — and I will offer them the opportunity to explore court reporting as a possibility. And if not them, perhaps someone they know or a relative. If I speak to three or five, even better, but at least one per day during that seven-day period. Chair, NCRA Student Committee, Doreen Sutton, RPR, Scottsdale, Ariz. I plan on asking our program director to send the letter for students about Court Reporting & Captioning Week from the NCRA website to all the court reporting students at Gateway. I will also ask that she highlight our contest in this communication and try to get the students involved. We also have a high school on campus. I would like to see if we could get the guidance counselor to bring a group of students into one of our classes for a demonstration. I will work with the program director on this. There are a couple of young people currently in our program who have been successfully moving along in a quick manner that I think would be better to relate to some of the high school students, and I will approach them about it. Gretchen House, GateWay Community College, Phoenix, Ariz. I will post videos each day to my social media page on Twitter. This one and this one will grab the audience’s attention. Shaunise Day, West Valley College, Saratoga, Calif. The ways to celebrate 2017 Court Reporting & Captioning Week are unlimited. 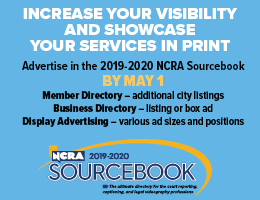 To learn more about how you can celebrate the week or to find the latest in resources, including a student contest, social media tips, and more, visit the Resource Center on NCRA.org or contact the NCRA communications team at pr@ncra.org. 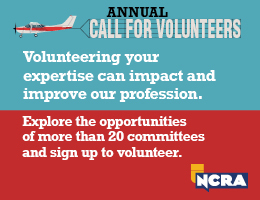 And don’t forget to share with NCRA what you plan to do to celebrate. The Newton Daily N ews posted an article on Nov. 11 about a Veterans History Project event held at the Des Moines Area (Iowa) Community College that was hosted by students from its court reporting program. Members from the Iowa Court Reporters Association interviewed 12 veterans during the event in honor of Veterans Day.